It’s time that you create your own custom calendar. You can hang them in your retail store or around the office. Give them away to employees or loyal customers. 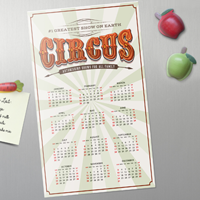 We offer saddle-stitched, wall-mounted photo calendars as well as magnetic calendars. Our wall calendars are printed on 100 lb. paper and have a high-gloss coating. Magnetic calendars use 20 mil. light magnets and 25 mil. moderate magnets. Calendar printing gives you the most bang for your buck because business calendars can be displayed for an entire year before they’re replaced. It enables an entrepreneur to promote brand recognition in the hopes of increasing repeat business. 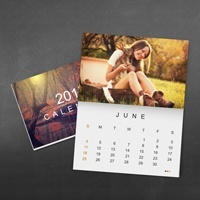 Nonprofit organizations can sell or give them away as promotional calendars during fundraisers.